Brown, a longtime member of American Sportscasters Association (ASA) and current host of "The NFL Today" on CBS, received a glowing endorsement from ASA President Lou Schwartz. 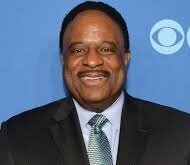 "The ASA is delighted that the Pro Football Hall of Fame will finally recognize James Brown for his vast contributions to television broadcasting for over 30 years on CBS and Fox. I am certain he will continue his illustrious career in broadcasting for many years to come," Schwartz said. A Washington, D.C., native, Brown graduated from Harvard University in 1973 where he was a three-time All-Ivy selection in basketball and captained the team as a senior. He began his broadcasting career in 1984 as a TV announcer for the Washington Bullets and joined CBS Sports in 1987 where he served as a play-by-play announcer for the NFL and college basketball, as well as a reporter for the network's coverage of the 1992 and '94 Winter Olympics. When rising network Fox Sports acquired the broadcasting rights for the NFL in 1994, Brown accepted the position to host the "Fox NFL Sunday" pre-game show. With Brown at the helm and a strong supporting cast of Terry Bradshaw, Howie Long and Jimmy Johnson, the show quickly became the highest rated pre-game show in America in its inaugural season. Brown enjoyed 11 seasons at Fox but his desire to be closer to his family in Maryland led him to return to the New York-based CBS in 2006 as host of the "The NFL Today." Brown currently moderates a high caliber panel which includes Bill Cowher, Tony Gonzalez, Bart Scott and Boomer Esiason. He also handles hosting duties for the recently acquired "Thursday Night Football." A three-time Emmy Award-winner, Brown has hosted the Super Bowl eight times, including Super Bowl 50 on CBS. In 1999, he was voted the ASA's "Sportscaster of the Year: Studio Host, " and in 2010 SI.com named Brown the "Best Studio Host of the Decade."